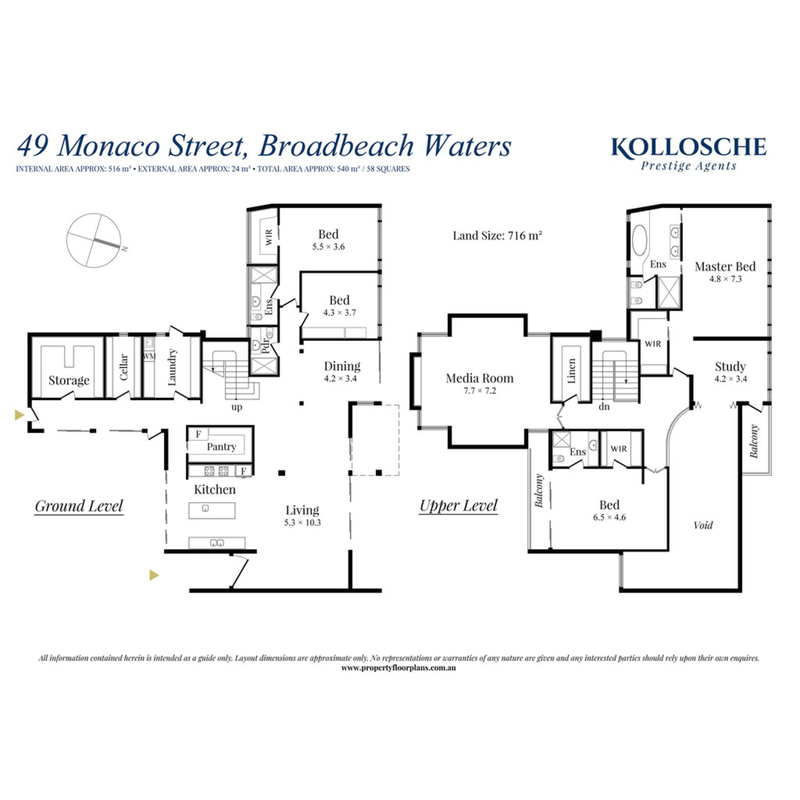 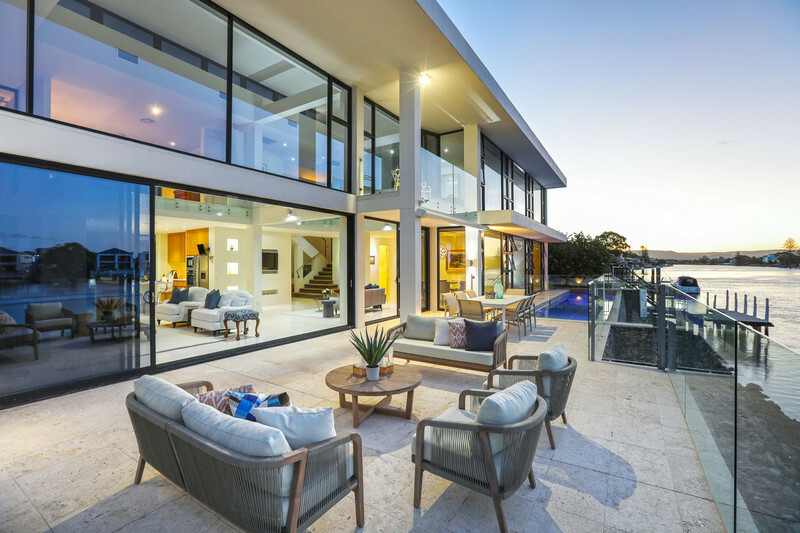 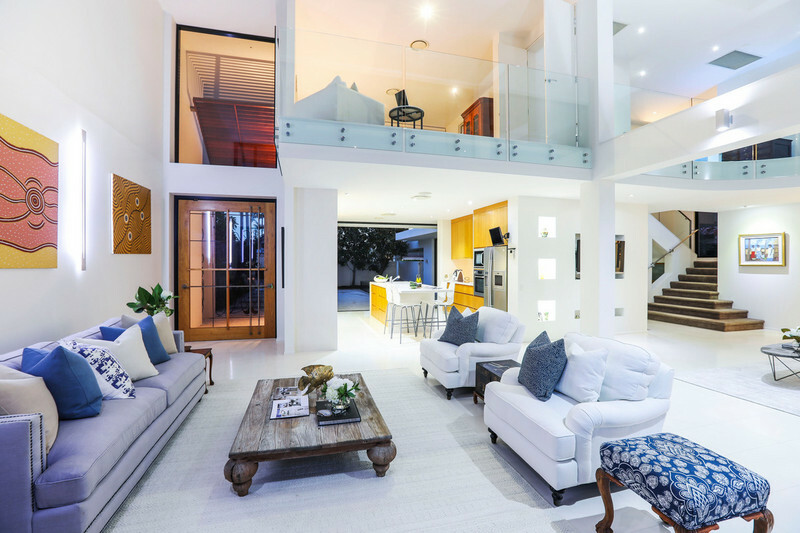 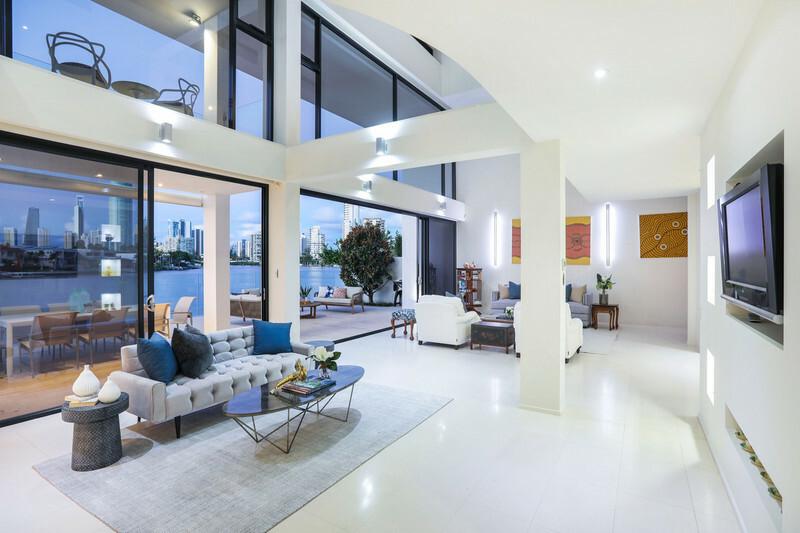 This architecturally designed residence located on the prestigious Broadbeach Waters address of Monaco Street will impress the most fastidious of buyers. 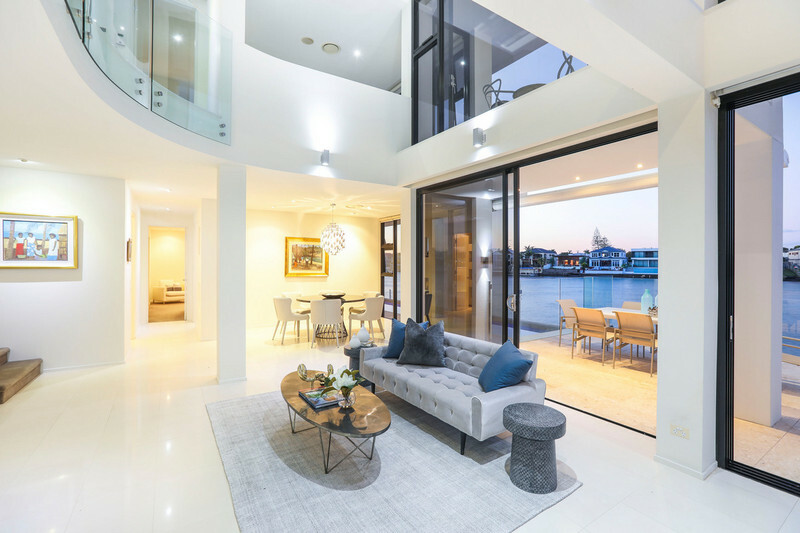 Honed limestone anchors a creative floor plan that spans 540m2, multiple levels, and features stunning signature accents of renowned architect Michael Witty. 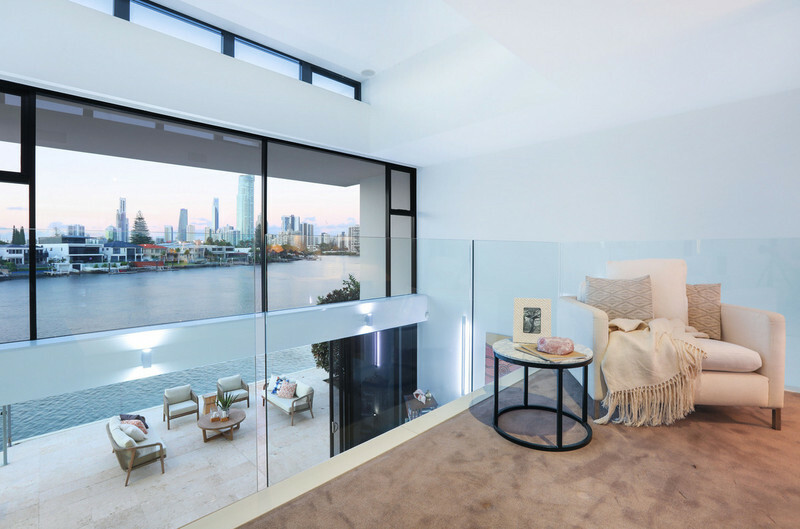 The interior is functional, fluid, and engaging in its design, allowing stunning river and skyline views to impress rooms beyond the soaring glass expanses. 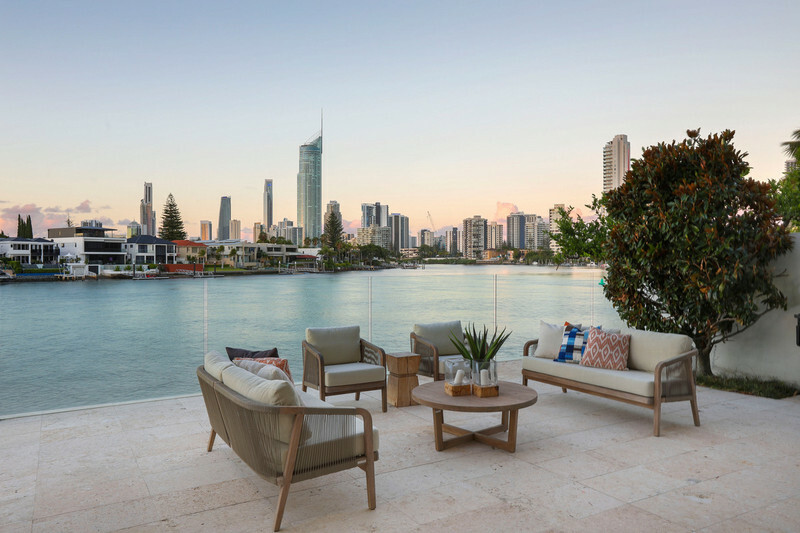 Illustrated with luxury and high-end materials from honed fossilized shell stone terraces and self-cleaning Pilkington active glass windows, to sensor taps, electric blinds, and an integrated sound system. 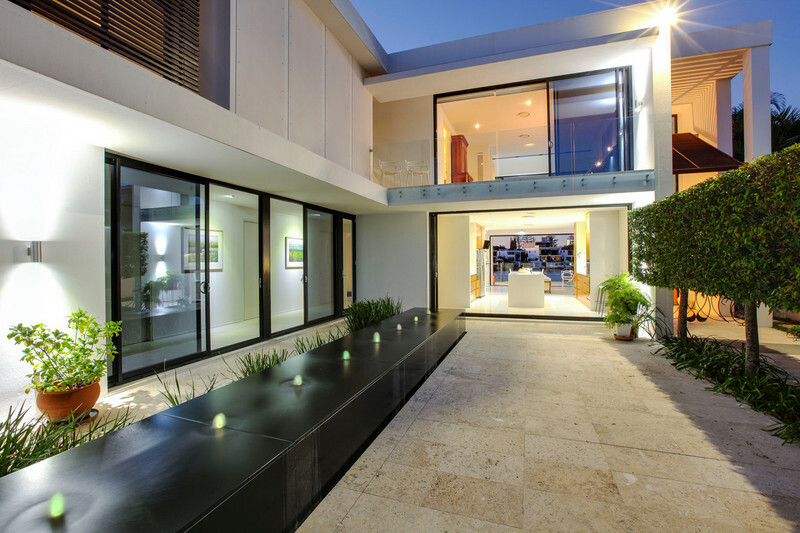 The formal entry courtyard was designed by internationally acclaimed landscape designer Paul Bangay and is visible throughout the house. 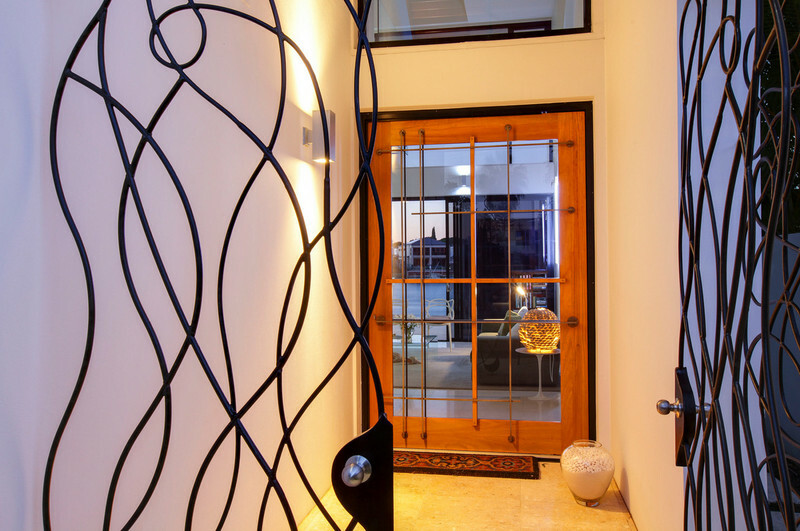 Making a lasting first impression beyond bespoke freeform wrought iron gates, it delivers an extended black marble seat inset with lighting and water alongside feature magnolias and sculpted waterhousia hedging. 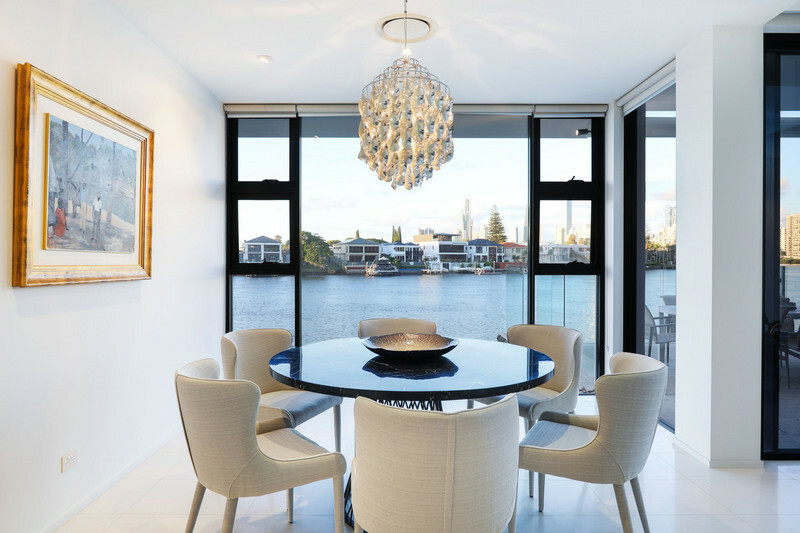 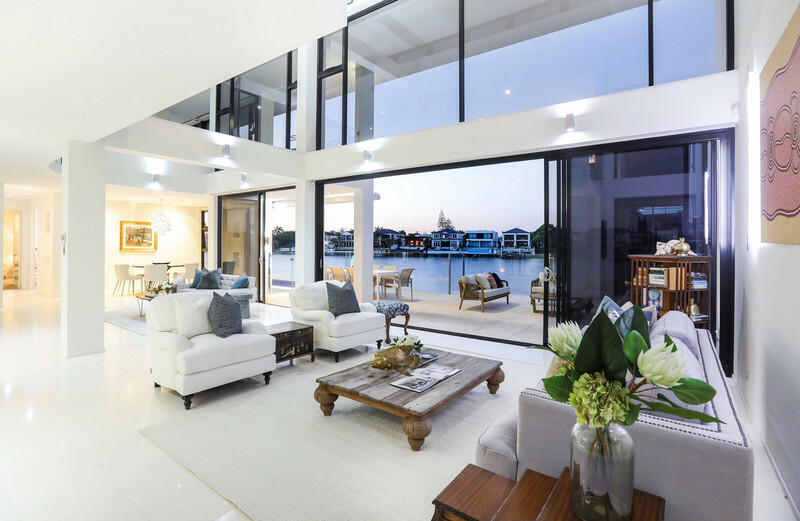 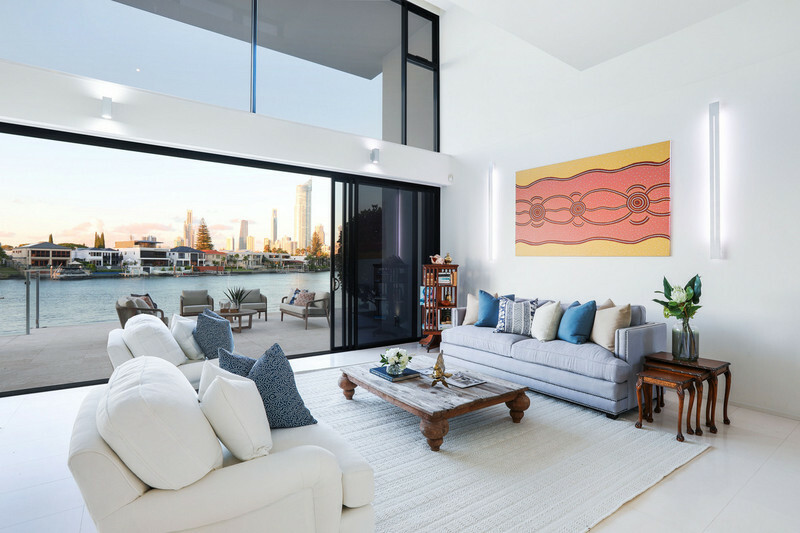 A lofty pivot front door reveals immediate views of the river beyond a formal lounge room, sitting room, and dining space. 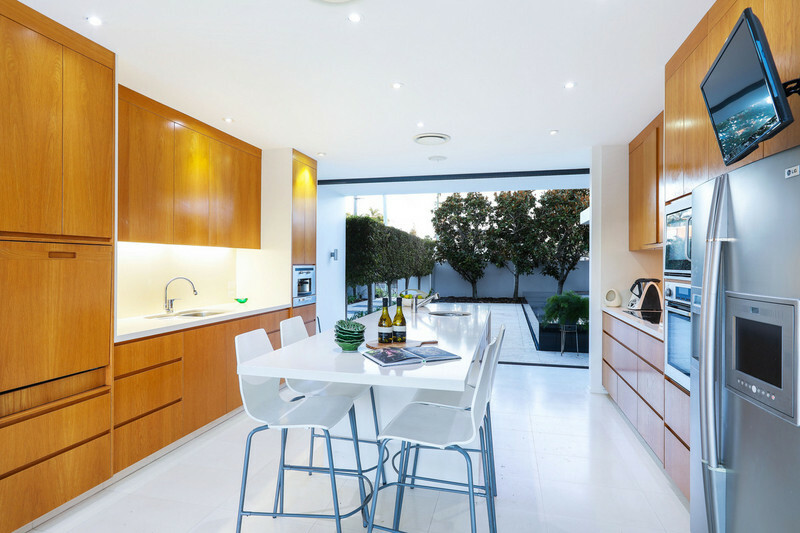 Cabinetry crafted from American oak and Osprey Caesarstone benches are defining features of the kitchen equipped with a walk-in pantry and quality European appliances including an integrated espresso machine and induction cooktop. 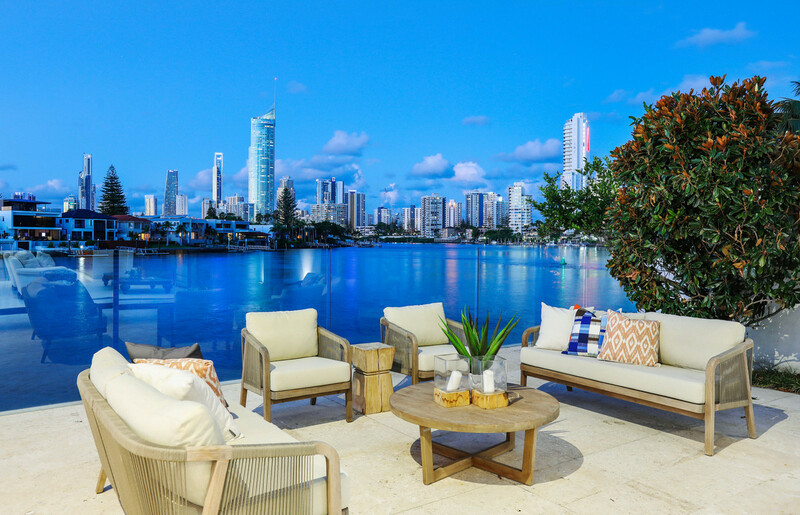 Oversized glass opens back for seamless connectivity with the vast entertaining terrace overlooking wide water met by the Surfers Paradise skyline. 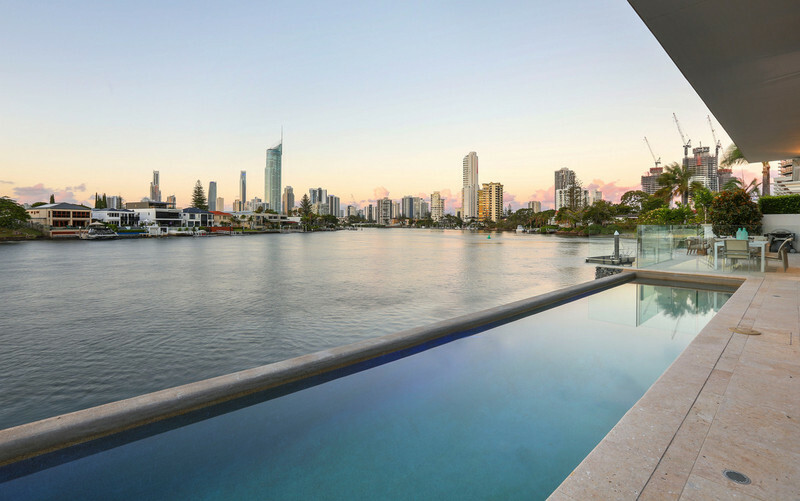 An electric awning provides sheltered dining options beside the 14 metre long wet edge pool and ensuing stacked stone waterfall. 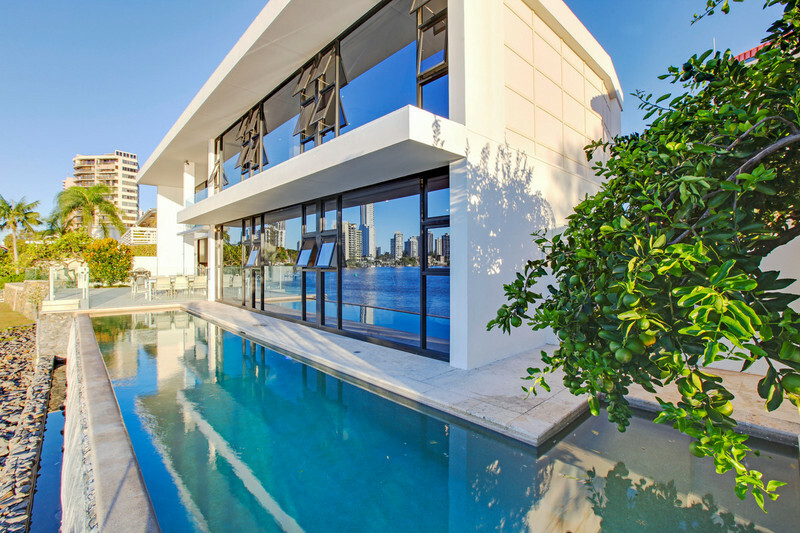 Privy to the views across the pool is the dining room and two bedrooms, one of which is ensuited. 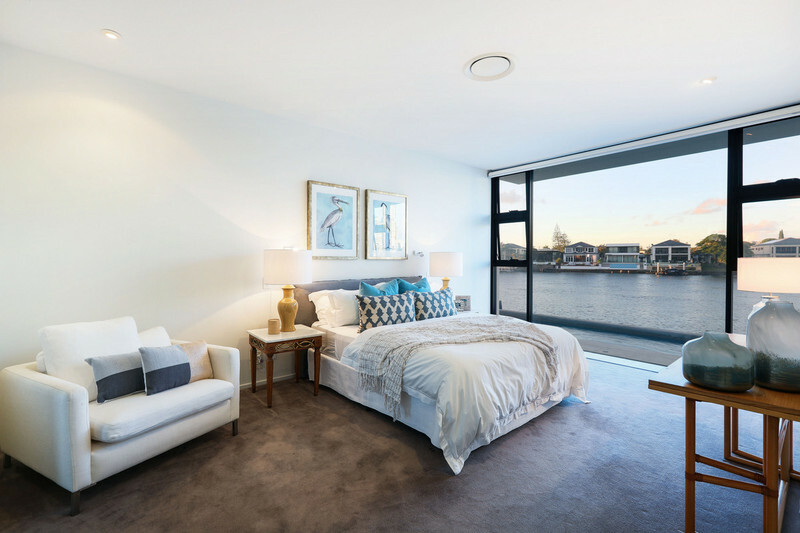 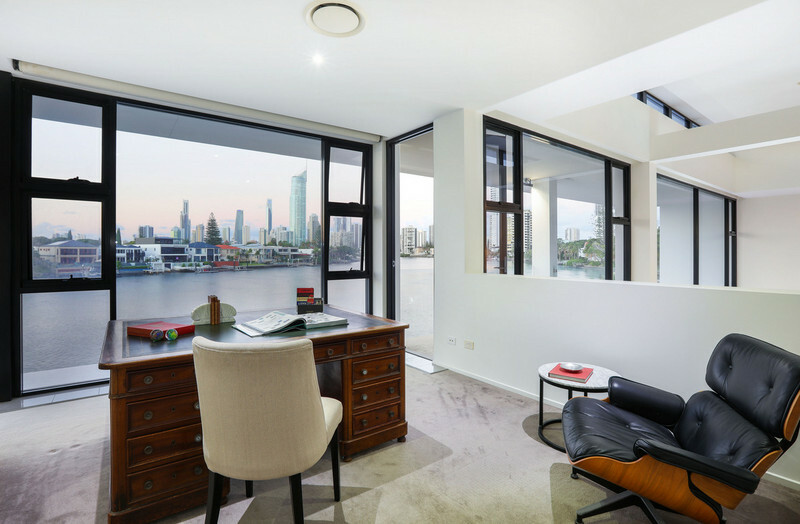 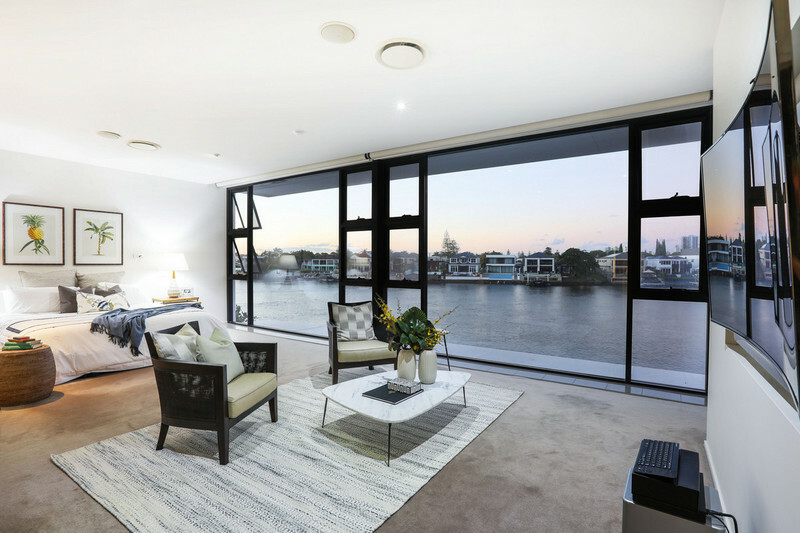 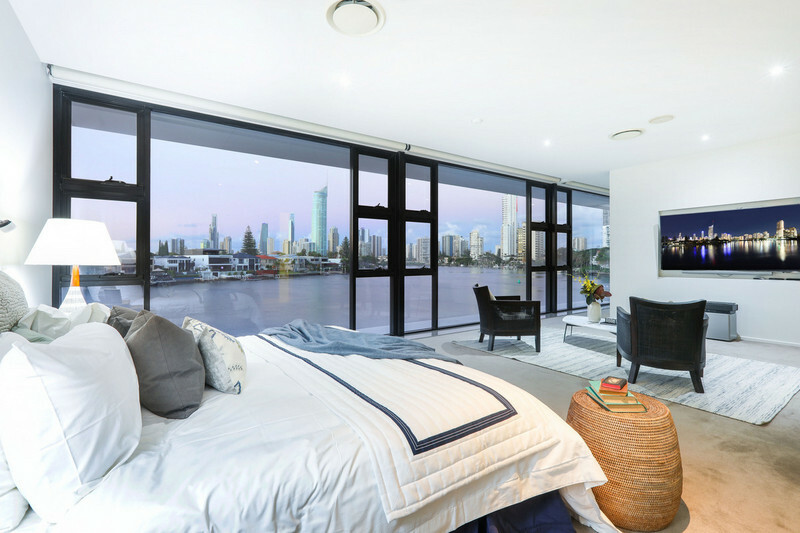 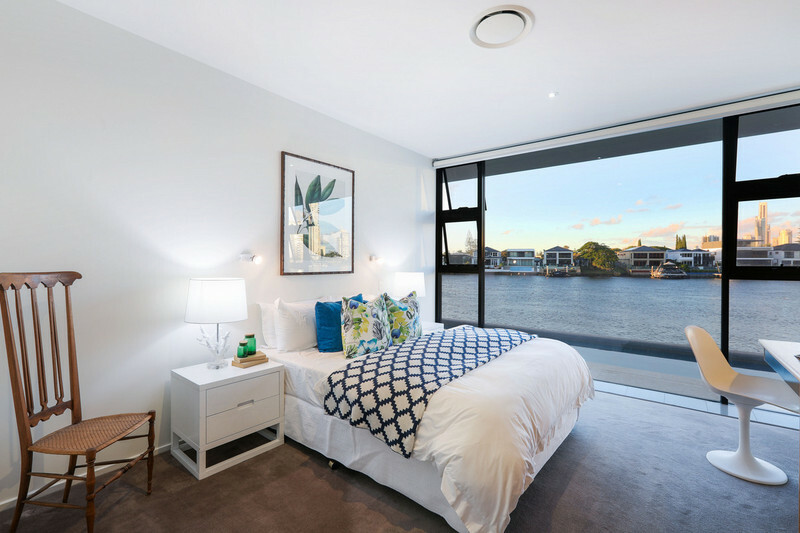 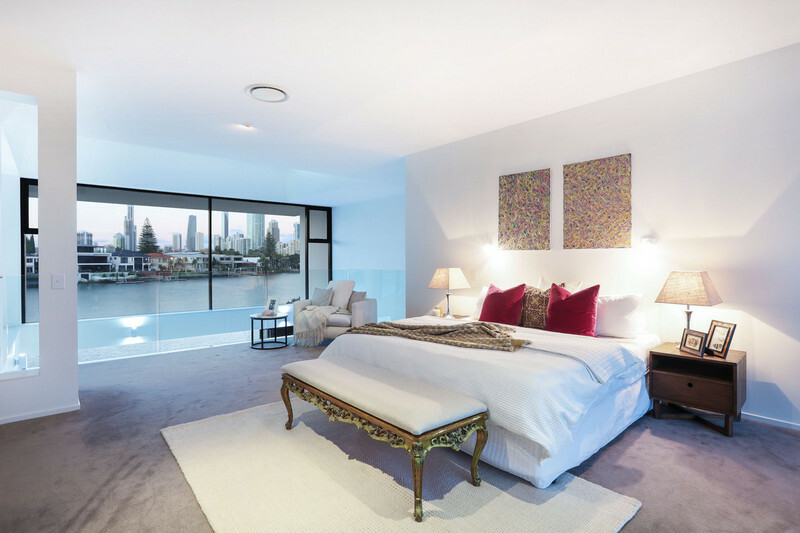 The sweeping riverfront vista is afforded to two bedrooms on the top floor – the executive master suite comprising of a private office, balcony, walk-in wardrobe, and spa ensuite; in addition to an ensuited guest bedroom with a courtyard balcony. 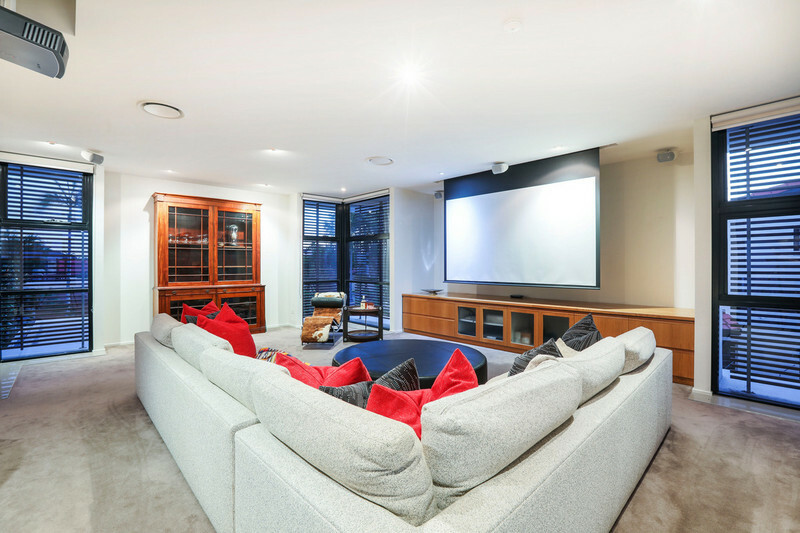 Double doors reveal a media lounge room with an overhead projector, electric drop-down screen, surround sound, and custom desk and shelving. 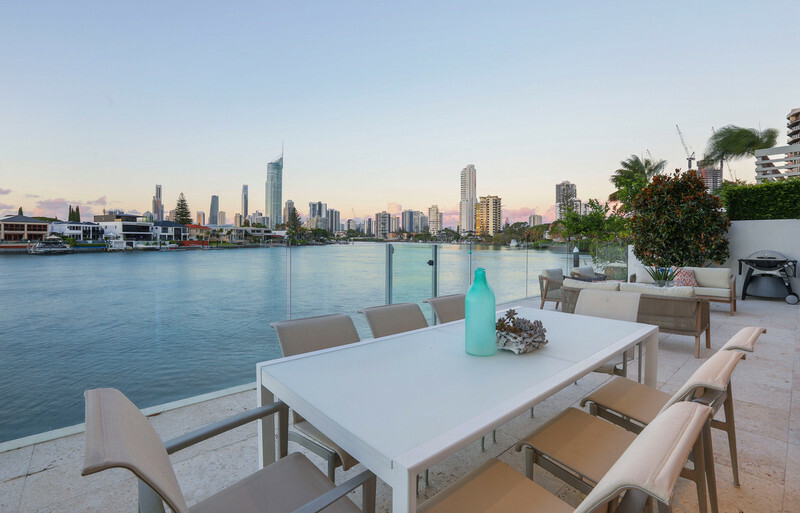 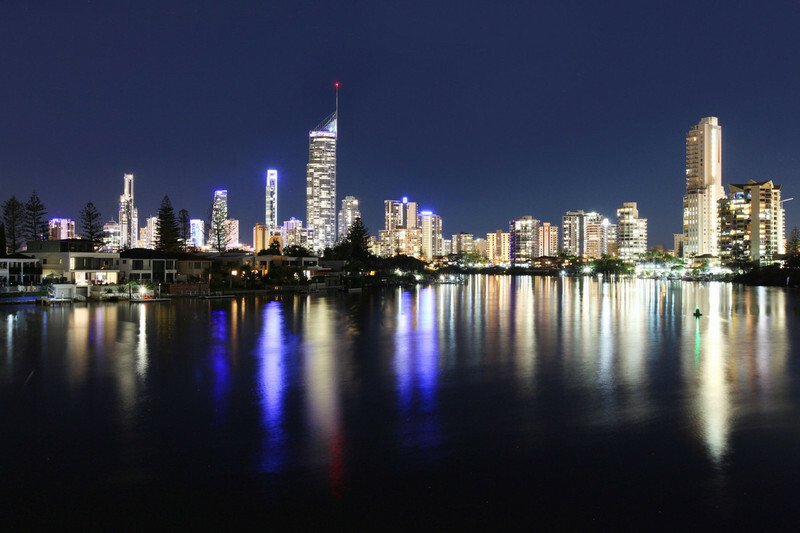 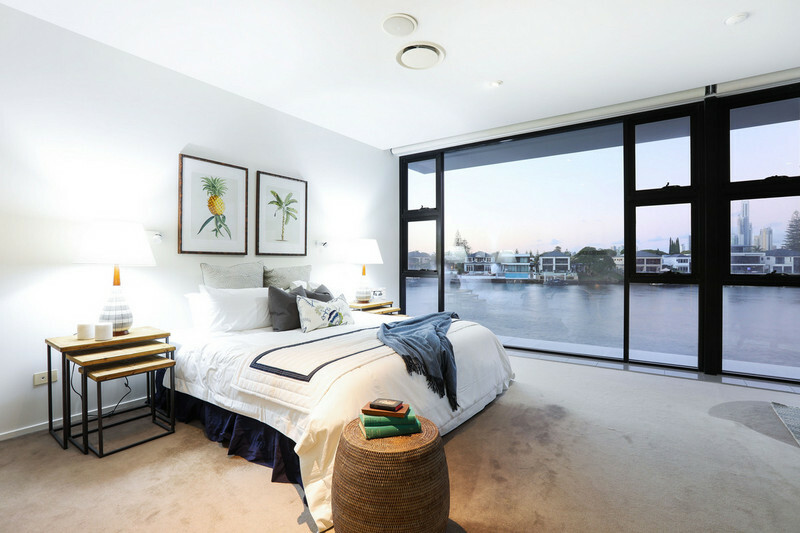 Situated at the beach end of the tightly held prestigious Monaco Street, the property is close to the G:Link light rail, beaches, shops, restaurants, and entertainment precincts of Surfers Paradise and Broadbeach.